At 19:00 Kyiv time, the aircraft with the team on board landed at the airport of Porto, from where the Donetsk delegation moved by bus directly to Braga. The Pitmen checked in the Melia Hotel, where they stayed during their Europa League fixtures versus Braga. The Orange-and-Blacks will stay here until February 15 to focus on the preparation for the Europa League round of 16 opening match against Celta. 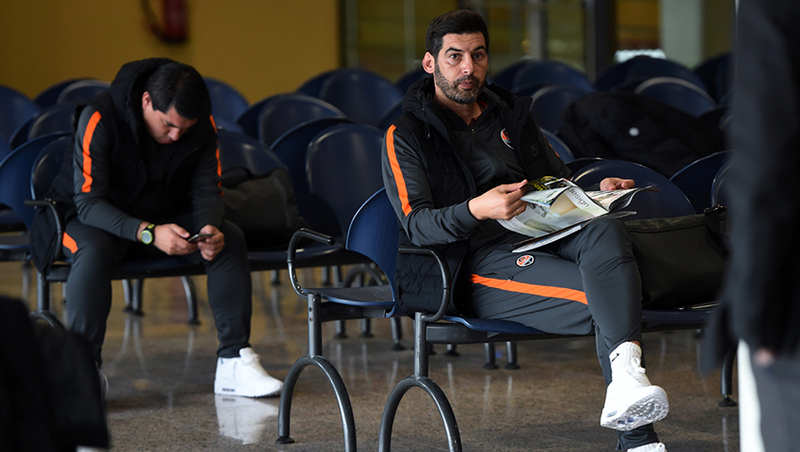 We would like to remind, that tomorrow Paulo Fonseca's side will hold their test match against Rio Ave. The game kicks off at 12:30. The text commentary will be available on shakhtar.com.